• DEATH OF THE NEW GODS #4 "Bearing Witness"
• PLOT SUMMARY: Orion, Mr. Miracle and Superman break into the Forever People's hideaway — only to make a shocking discovery! 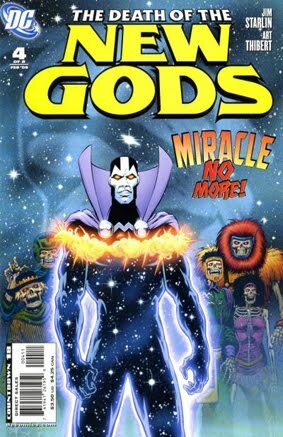 Meanwhile, Metron continues to investigate the mystery surrounding the deaths of the New Gods…and Mr. Miracle undergoes a startling transformation!